KCUC offers an extensive variety of industrial safety education and training courses addressing industry and plant-specific required training. 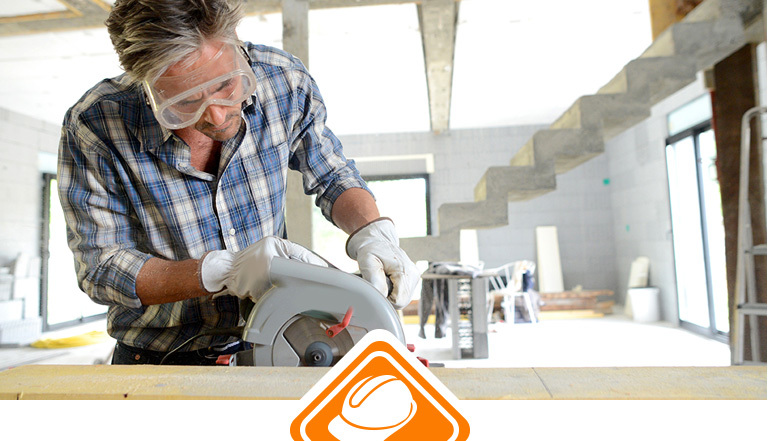 These courses meet a variety of needs, including compliance with regulations administered by the Occupational Safety and Health Administration (OSHA) in subparts 1910 and 1926 and with good industry work practices. These courses are offered to both KCUC Members and non-Members during training sessions conducted at our training facility. Arrangements can also be made for on-site (mobile) training presented to large groups for the ARSC general safety awareness orientations. All courses are either instructor led, or designed for individual interaction through Computer Based Training (CBT) sessions. Training courses offered by KCUC are continuously being updated to maintain current industry standards. Our goal is to maintain all existing services and add new programs to meet the needs of our customer base. The Association of Reciprocal Safety Councils, Inc. (ARSC) is a not-for-profit corporation that was founded to provide safety education materials, training, and related services to assist safety training organizations and others in improving and maintaining good safety performance by workers in all types of industry and related areas. In 2001, KCUC joined the Association of Reciprocal Safety Councils, Inc. (ARSC) as a safety council member to provide its general safety awareness orientation programs Basic Orientation Plus® (BOP) and Basic Orientation Plus Refresher® (BOPR) and other ARSC-developed safety training. These programs allow workers to receive a uniform basic package of safety information needed at Owner sites, which eliminates redundant orientations at many Owner facilities. The Basic Orientation Plus® program meets a significant portion of the OSHA mandated contractor requirements. This knowledge-based program is not meant to provide site location specific, job specific, or OHSA task specific training. This is a half-day program led by prequalified safety instructors who guide trainees through video-based interactive instructional units. This is followed by a professionally validated fifty question test which requires a 70% passing grade. Each person who successfully completes this safety orientation at KCUC receives an identification card with the person’s photo, valid for one year from date of issue. If a person completes other specialized training during that year, the same card will be so coded, with the expiration date(s) added for the new training. To ensure credibility and integrity of its programs, ARSC performs comprehensive audits of each member council regarding quality and consistency of training as well as assurance that the individual trained is the individual who is issued a card stating the training has occurred. KCUC also performs annual self-audits to ensure compliance with ARSC requirements. Through the principle of “reciprocity”, each ARSC council and their affiliated Owner facilities will honor the BOP and BOPR training certification cards issued by other member councils; this allows companies and contractors to have their employees receive training locally before working in another part of the country, thereby reducing training time away from work and travel costs. Some Owner companies require completion of site-specific orientations and training through a safety council’s training center. KCUC offers an increasing number of local site orientations in its CBT lab. To address the needs of a mobile workforce, KCUC also has access to a large number of site orientations and other site-specific training for non-local facilities from other ARSC safety councils. KCUC continues to add safety, environmental and health training programs to its courses curriculum. These include both ARSC-developed safety training and Owner-required training for their facilities. All trainees must present a valid (not expired) U.S. State or Federal identification card with photo. In addition, various reciprocal safety programs require that KCUC have in place an identity verification protocol to assure the trainee taking these programs is the correct person. This is also a requirement of an increasing number of Owner facilities whenever a safety council such as KCUC provides their facility’s contractor site orientation. To help comply with these requirements, KCUC will have Social Security Verification (SSV) services performed by a third party for trainees taking reciprocal safety programs and also facility site orientations, if required by the Owner. Click here to see Safety Course Guidelines and Policies for specific identification document requirements. KCUC maintains secure files of all trainee records. Verification of successful completion of training will be furnished upon request to trainees and their company. A processing fee may be charged for high volume requests. Click here to see a complete list of Site Specific Courses. Click here to see a complete list of Safety, Environmental, and Health Courses.